National Art Gallery of New Zealand. Lowe Art Museum, University of Miami, Miami, USA. Christensen Collection, held by the Museum of Victoria, Melbourne. Australian Department of Archaeology and Anthropology, National University, Canberra. Museum of Victoria, Melbourne, Sydney. The Kelton Foundation, Santa Monica, USA. University of Western Australia, Anthropology Art Museum, Perth. Art Gallery of New South Wales, Sydney Peter Stuvesant Collection. Alice Springs Town Council, Alice Springs. Billy Stockman Tjapaltjarri est né vers 1927 à IIpitirri près du mont Denison, est décédé en septembre 2015, il a été l’un des plus célèbres artistes du mouvement d’Art Aborigène du désert occidental, Papunya Tula. Sa mère a été tuée en 1928 lors du massacre dans le Coniston, son père était partie chassé et a survécu. Sa tante est la mère de Clifford Possum Tjapaltjarri. En 1960, il travail comme cuisinier à Paunya. Comme son cousin Cliffor Possum, il commence sa carrière artistique comme sculpter sur bois pour le marché des arts et métiers. 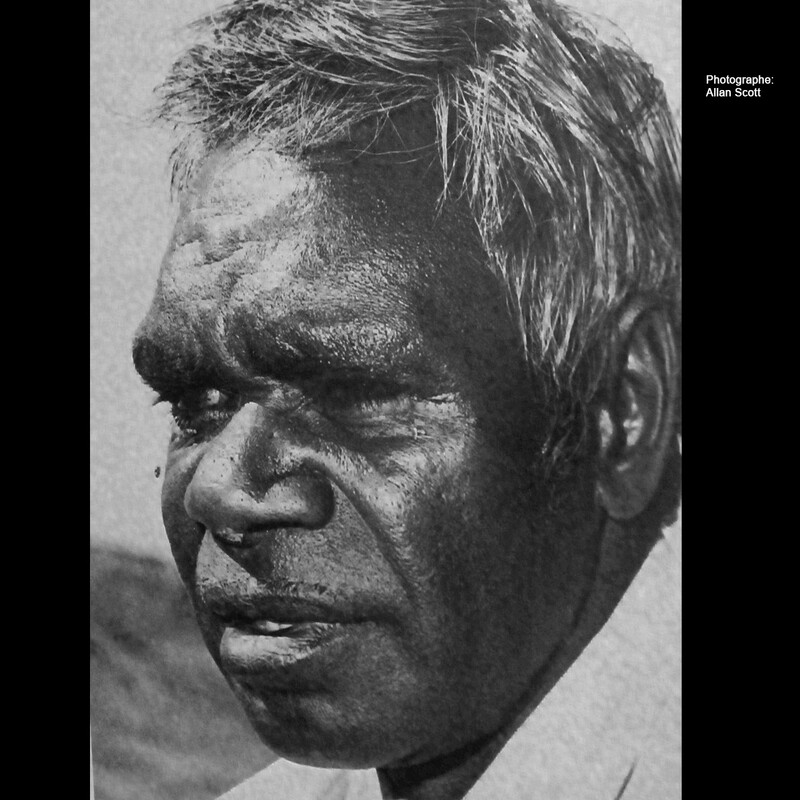 Il était en 1970 l’un des premiers présidents de Papunya Tula Pty Ltd.
Il est l’un des artiste qui a peint le rêve de la fourmie à miel sur le mur de l’école de Papunya en 1970, à la demande de Geoffrey Bardon. En 1988, il part avec un autre artiste, Michael Nelson Jagamarra pour New York pour l’ouverture « Dreamings »show at the Asia Society où ils créeront une peinture de sable lors dans le cadre de l’exposition. 2012, “Origins of Western Desert Art Tjukurrtjanu”, National Gallery of Victoria (touring exhibition), Musee de quai Branly, Paris. 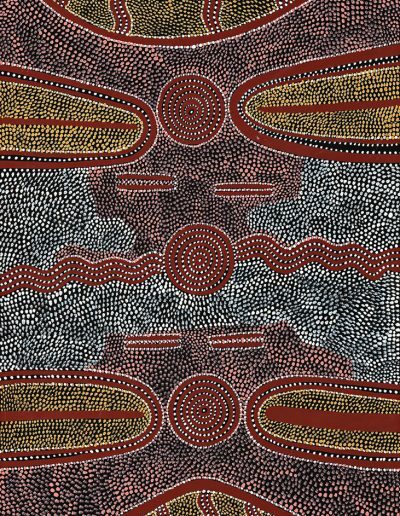 2011, “Origins of Western Desert Art Tjukurrtjanu”, National Gallery of Victoria (touring exhibition), The Ian Potter Centre: NGV Australia, Federation Square, Melbourne. 1999, Flinders Art Museum, Flinders University, Adelaide. 1999, Chapel off Chapel Gallery, Melbourne. 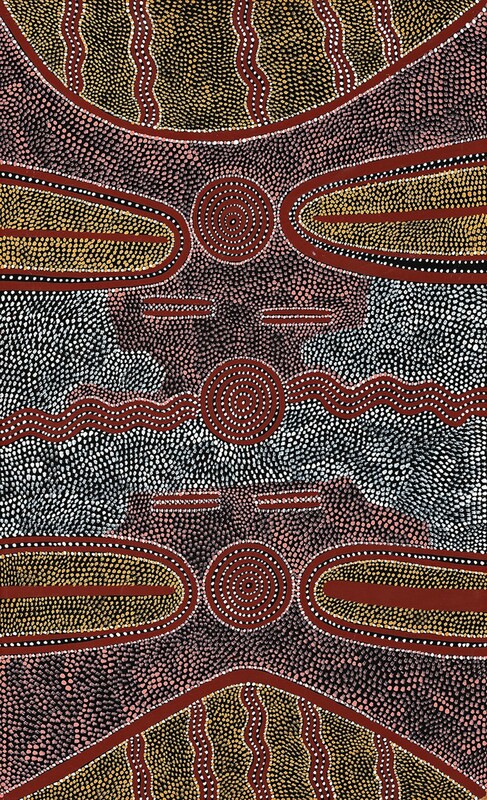 1994, “Dreamings – Tjukurrpa: Aboriginal Art of the Western Desert”, The Donald Kahn Collection, Museum Villa Stuck, Munich. 1993, Art Gallery of Western Australia, Perth. 1993, “Tjukurrpa – Desert Dreamings”, Aboriginal Art from Central Australia. 1992, “Tjukurrpa”m Museum fur Volkerkunde, Basel. 1991, Te Whare Taonga o Aoteroa National Art Gallery, New Zealand. 1991, “The Painted Dream: Contemporary Aboriginal Paintings from the Tim and Vivien Johnson Collection”, Auckland City Art Gallery, New Zealand. 1991, “Canvas and Bark”, South Australian Museum, Adelaide. 1991, “Australian Aboriginal Art from the Collection of Donald Kahn”, Lowe Art Museum, University of Miami, USA. 1991, “Alice to Penzance”. The Mall Galleries, The Mall, London. 1989, “A Selection of Aboriginal Art owned by the ANU”, Drill Hall Gallery, Canberra. 1988, “The Inspired Dream, Life as art in Aboriginal Australia”, Museum and Art Gallery of the Northern Territory (internationally touring exhibition), Darwin. 1988, “Dreamings: Art of Aboriginal Australia”, Asia Society Galleries, New York, USA, London, Paris, Frankfurt, Basel, Zurich. 1988, “Yuendumu and Beyond”, Melbourne. 1987, “A Selection of Aboriginal Art owned by the ANU”, Drill Hall Gallery, Canberra. 1985, “The Face of the Centre: Papunya Tula Paintings”. 1985, “Dot and Circle, a retrospective survey of the Aboriginal acrylic: Paintings of Central Australia”, Royal Melbourne Institute of Technology, Melbourne. 1984, Anvil Art Gallery, Albury. 1980, Museum and Art Galleries of the Northern Territory, Darwin. 1977, Nigerian Festival, Lagos, Nigeria. 1974, Anvil Art Gallery, Albury. 1971 – 1984, National Gallery of Victoria, Melbourne. 1971, Art Gallery of Western Australia, Perth.